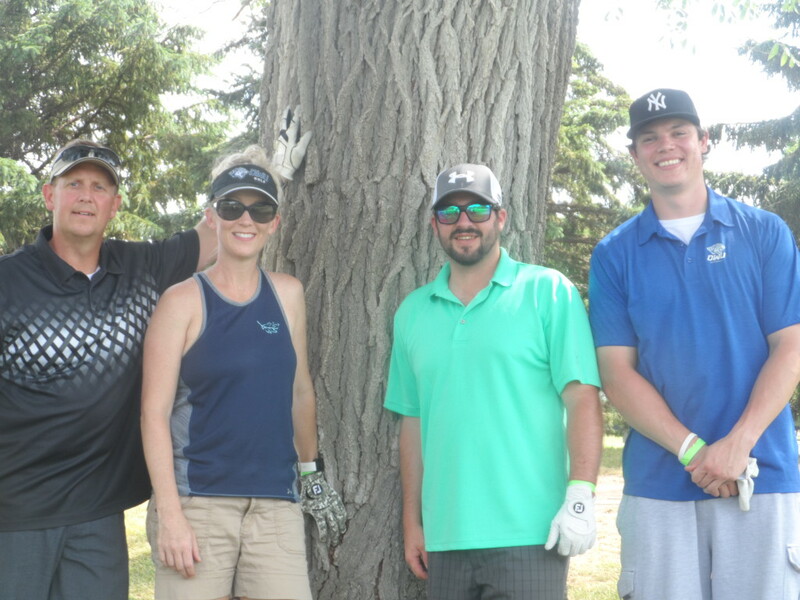 Photo: Jared Neilan, far right, with golfing partners. Connecting with people may be Jared Neilan’s superpower – in fact, it’s a key part of why he’s in Mitchell and how he does his job every day. He came to Mitchell to attend Dakota Wesleyan University because of a successful college visit; he clicked with those he met and felt comfortable on campus from the start. “It was the best decision I ever made,” Jared says of his choice to enroll at DWU. In fact, it was such a good decision, he opted to continue his education to earn an M.B.A. from DWU as well. He says it was difficult and required great discipline because the program is fully online. He opted to do the degree in one year, so he had two new courses beginning every eight weeks. It required a rigorous study schedule to stay on top of his coursework. He found a key to his success in the program to be his ability to connect. Although different than being in a classroom, reaching out to fellow students and professors helped him to create connections in the online environment. “A huge part of learning is interacting,” he said. When Jared was beginning his job search in the financial industry, he was talking with DWU professor Randy Sprung about how hard it can be to get a call-back from potential employers. Sprung offered to reach out to DWU alumnus Ryan Huber, regional president of BankWest in Mitchell. Previous positive experience with DWU students and grads led Huber to put in a good word for Jared at BankWest’s home office in Pierre, Jared’s hometown. Jared went to work for BankWest in Pierre in 2017. His training process took him through aptitude testing and working in various departments, allowing managers to assess his strengths. Jared became a cash management officer and came back to Mitchell because this market didn’t have anyone in that capacity. Although Jared works in Mitchell, he also travels the region working with clients in smaller BankWest branches and helping fill their needs in online services, bill pay, payroll and other banking products. “It’s fast-paced, and every day is different,” he said. As for making his home in Mitchell, Jared is happy his job brought him back to town. “I fell in love with DWU and the town of Mitchell,” he said. When he’s not working, Jared likes to golf, plays softball, and hunts and fishes. He says he’s still making new friends and connections, but he embraces that challenge.